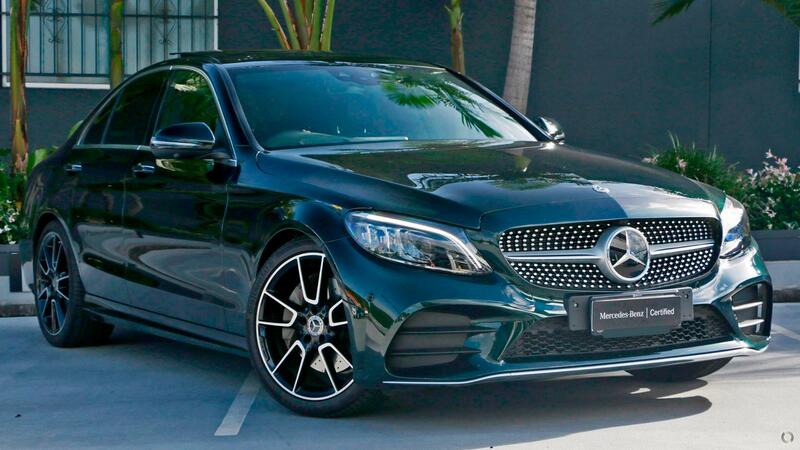 This Certified NEW GENERATION FACELIFT C300 sedan finished in Emerald Green with Black AMG Leather, is complimented by the AMG Pack featuring 19" AMG Alloys, AMG bodystyling, sports seats, and sports suspension. Additional features include the Seat Comfort Pack with heated front seats and memory function; COMAND Pack with Burmester sound system, traffic sign assist, and online accessibility; Vision Pack with panoramic glass sunroof, Multibeam LED Intelligent Light System, 360 degree camera and head-up display. This 2018 FACELIFT C300 sedan is not to be missed.